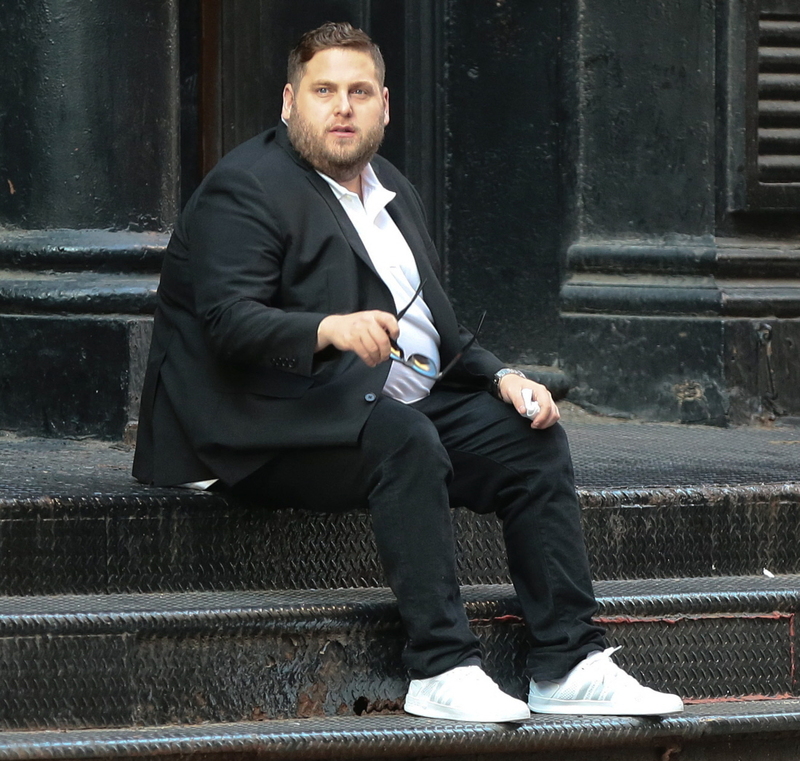 These are photos of Jonah Hill from June 16th, although they were only released over the weekend. 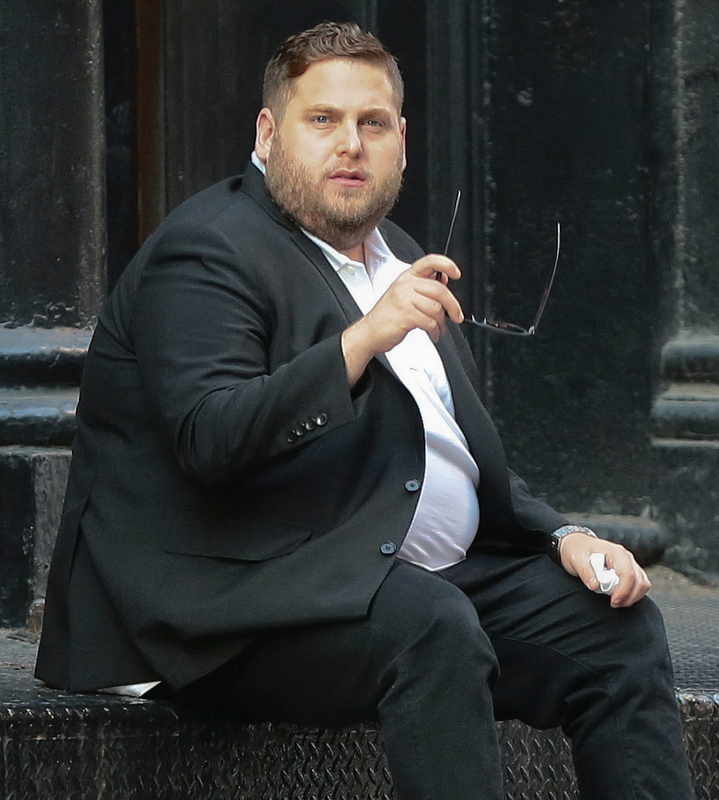 I’m not sure why it took so long for them to come out, but I do know that I sat on these photos for a few days because covering Jonah Hill’s significant weight gain makes me sad. Jonah’s always been a bigger guy, and it feels like his weight has yo-yo’d significantly over the past five years as he crash-diets and then quits. It also feels like this kind of weight gain would be a MAJOR story in gossip circles if this was a woman. Like, if this was a woman, the weight gain, the backlash and the reaction would probably make the cover of People Magazine. OK! 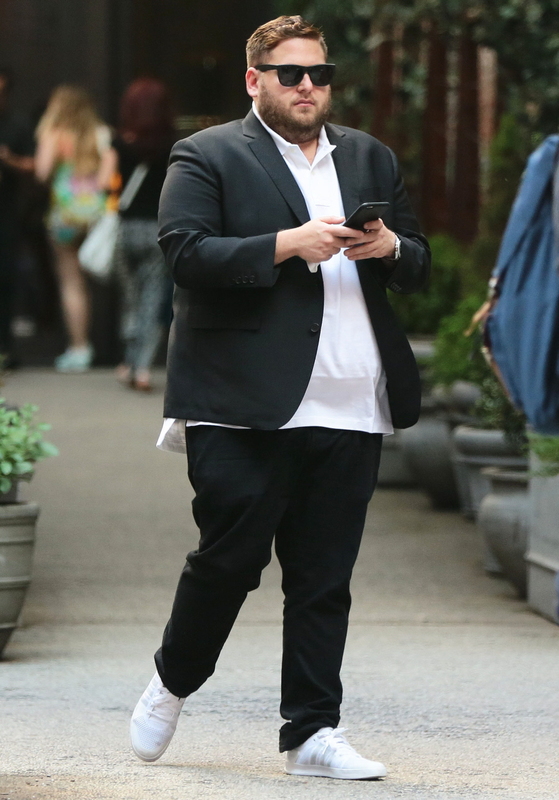 Magazine had a recent story about Jonah’s weight gain – which is weird because none of the other tabloids are running any stories about it – in which “insiders” say Jonah is now “well over 300 pounds” and his health is seriously struggling. An insider says, “He used to go to the gym regularly, but now he gets winded just walking down the street.” It does seem like – in these photos – Jonah had to sit down for a moment to catch his breath. Anyway, I hope someone is saying the right things to Jonah. Who would that be, though? Would Leonardo DiCaprio be the one to say, “Man, I’m worried. Maybe you should see a nutritionist and a trainer”? I don't remember him being this big, did he gain all the weight back plus extra? Fat man in a little coat. It does look like he gained some extra when he put the weight back on. "The American Who Grew Up a Hill but Turned into a Mountain"
Kathie_Moffett, SillyME54, nwgirl and 8 others like this. My first thought was "Good" and I know thats awful but he seems like a smarmy prick. Sleuth, witchcurlgirl, kersalli and 10 others like this. i didn't think he looked good when he lost all that weight, but this isn't a good look either. greysfang, I'mNotBitter, Clubber Lang and 2 others like this. Not surprising. Typically, yo-yo dieters lose, gain it all plus more, lose, gain it back plus more, etc. That's how you end up heavier and heavier. I know, it's the story of my life! I like Jonah and I agree it seemed weird when he got too skinny but he's bigger than he's ever been here. I hope he will get to a healthy weight. Super-bad idea for someone who had such extreme weight loss to gain weight back for a movie role. llamamama, twitchy2.0 and hustle4alivin like this. As if he gained it back for a movie role...this fucker is just eating himself to death because he is a pig. Kathie_Moffett, Alysheba and tonks like this. This makes me kind of sad, like that Rob Kardashian thread. Jonah was always a chubster but he looks like he's gone off the rails now. This won't end well if he doesn't get control. Guess I'm having an unusually compassionate day, but this is an awful thing to say. Weight issues can be complex and I wouldn't just write it off as him being "a pig." HeartShapedBox, I'mNotBitter, Kittylady and 14 others like this. I didn't think so either, he had that "used to be heavy" look. He should have weight trained. Also, I remember reading that it was bad for his career. I can see that. I can't picture his thin self in those roles. ^ you saw what I did there? Air Quotes, llamamama, Clubber Lang and 3 others like this. I know the fart smile doesn't make sense, but I'm giggling. Fitting that a man with the last name Hill is a man mountain. Jonah Hill & Ali Hoffman Split After Nine Months of Dating?